It was a picture perfect day for the 23rd Annual Covered Bridge Bike Tour as the cyclists streamed into the one-room schoolhouse museum to register this morning. 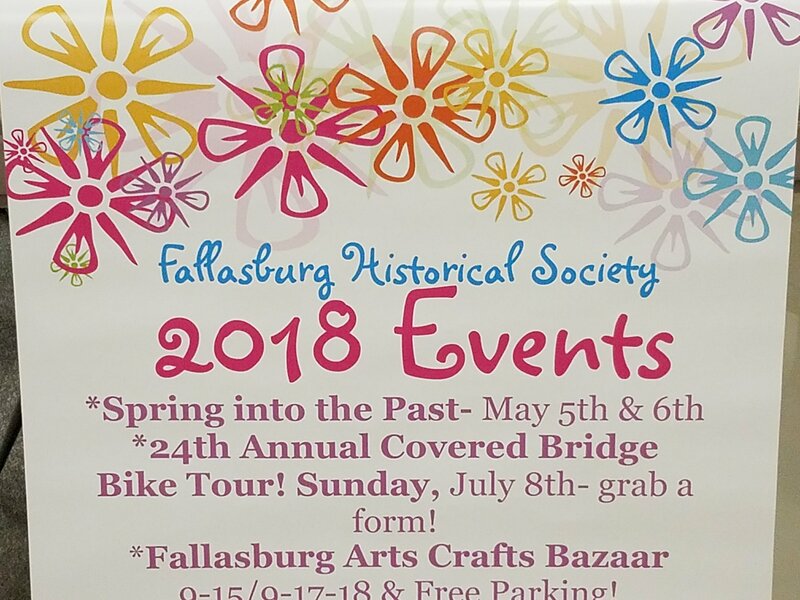 “We’re on target,” said Tina Siciliano Cadwallader, vice-president of the Fallasburg Historical Society (FHS) in regards to registrations. Treasurer All Rumbaugh said the number of participants will be comparable to last year. The majority of cyclists took the 50-mile route. The one-room schoolhouse museum is open on Sundays from 2 to 4 pm. Visit the historic village this summer.